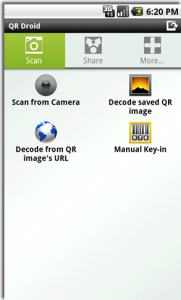 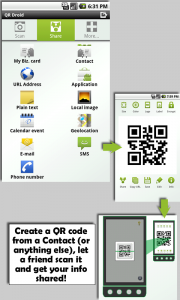 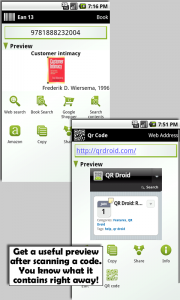 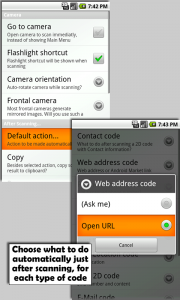 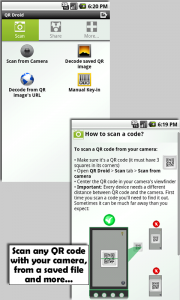 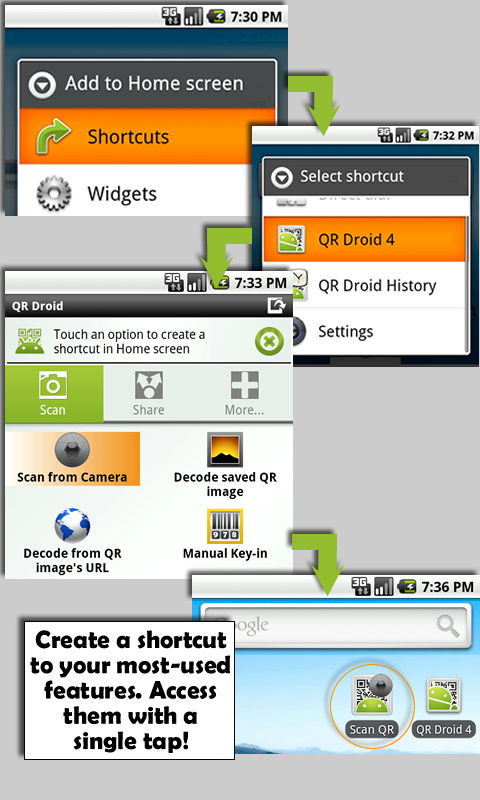 QR Droid 4 Beta has been released! 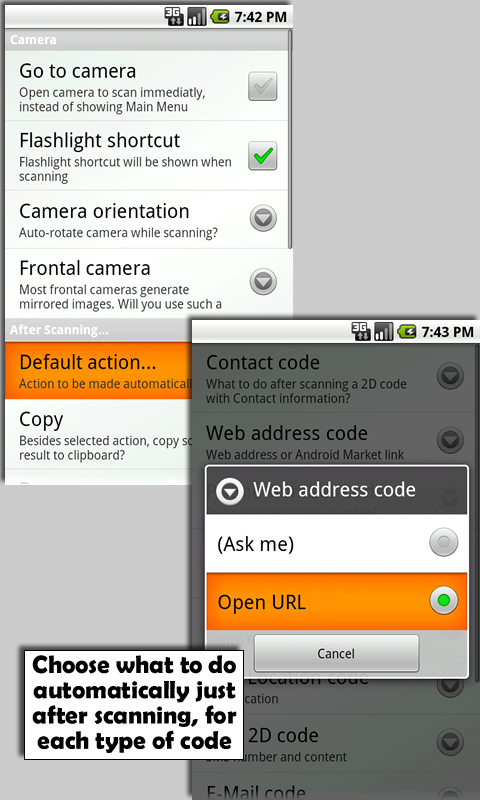 Default action: Now, you can choose exactly what to do automatically right after you scan a QR Code, without touching any button. 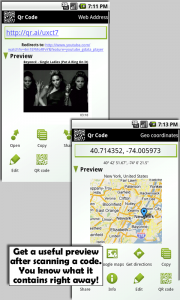 The best part is you can set it independently, for each type of code. 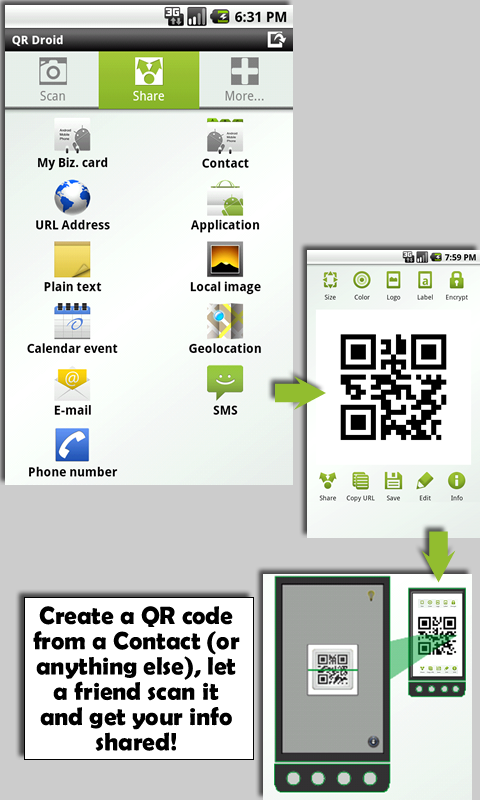 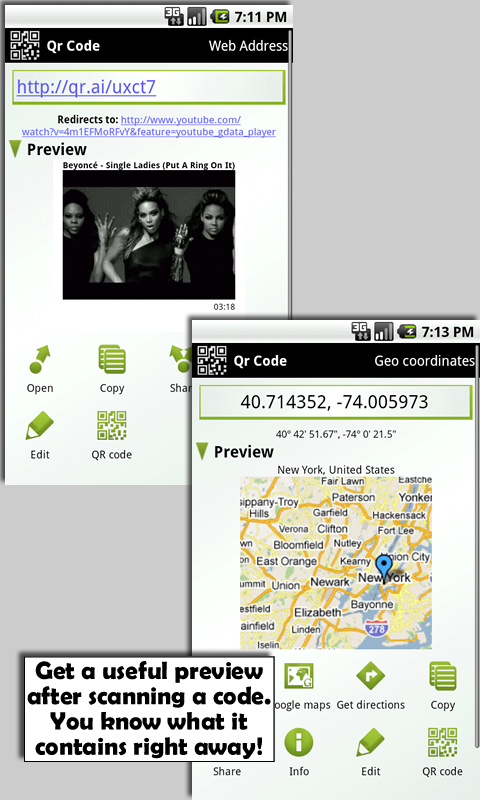 You can decide to open automatically QR Codes with Web links, to show a mini Google Maps for Geo-locations, but to leave it manual for plain-text codes. 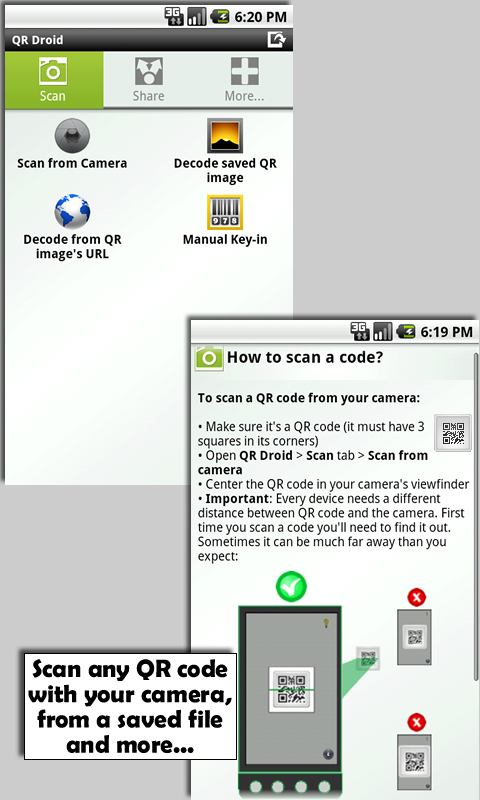 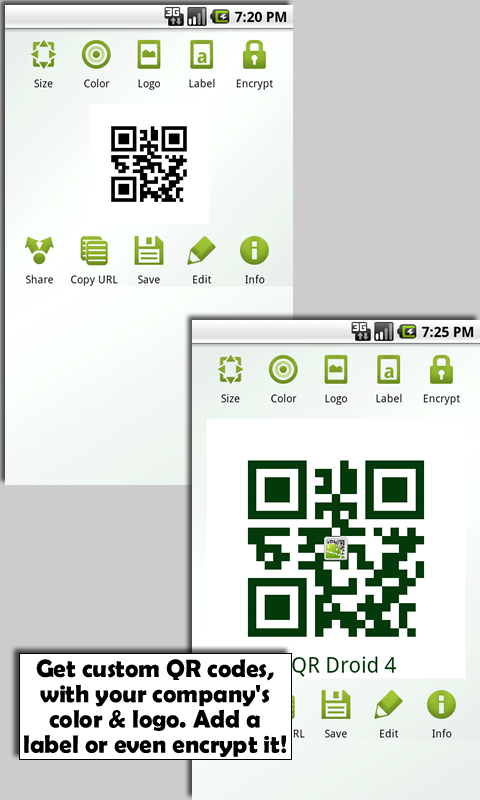 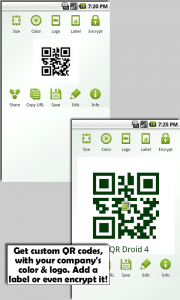 This feature (first/left image), along with shortcut creation (second/right image), makes QR Droid 4 the fastest QR Code reader. 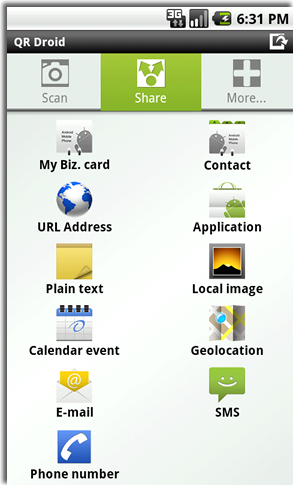 Then, what are you waiting for? 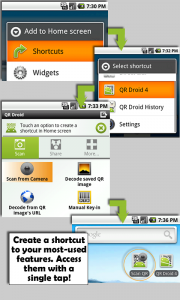 Get QR Droid now!